Los Angeles City Attorney Mike Feuer on Aug. 6 announced the final recommendations in his School Safety report, including the establishment of a district-wide school safety director, physical improvements to campuses, increased mental health resources and safe firearm storage programs in students’ homes. 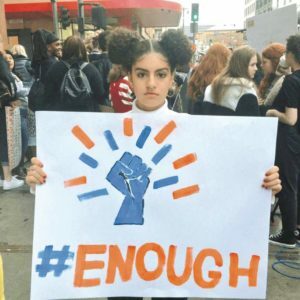 The report is a culmination of Feuer’s Los Angeles School Safety Blue Ribbon Panel hearings held throughout the city and developed with expert testimony and public input. The panel’s eight public hearings began in April and have taken place in all of the LAUSD board districts. Each hearing featured testimony and participation by experts in education, public safety, gun violence prevention, trauma and mental health, public health, architecture and design. During the process, the panel incorporated ideas from a diverse group of students, parents and administrators, as well as leaders from business and faith-based communities. Central to the report’s recommendations is the hiring of a school safety director with wide-ranging responsibilities to oversee and implement all facets of the district’s safety operations. Additional recommendations are to establish a district-wide safe passage to school program, establish better coordination with law enforcement on gang and crime reduction in neighborhoods surrounding schools, creating a comprehensive safe gun storage project that assures parents know of their legal obligations to keep weapons at home safely stored, and establish uniform safety and structural procedures at all campuses including a single entry point, interior locks on classroom doors and two-way intercoms for teachers. The report also calls for increasing the number of mental health resources on campus including social workers and peer counseling programs, and creating a single, easy to navigate anonymous system for reporting threats, bullying and other dangers to schools. For information and to read the report, visit lacityattorney.org/blueribbon.